Day by Day is organized around six fundamental components of writing workshop—routines, mini-lessons, choice, mentors, conferring, and assessment. Each component is broken down into ten-day sections. Each section includes a detailed discussion, a challenge that teachers can apply immediately, and questions to help teachers assess the process to see what went right, what went wrong, and, most importantly, why. 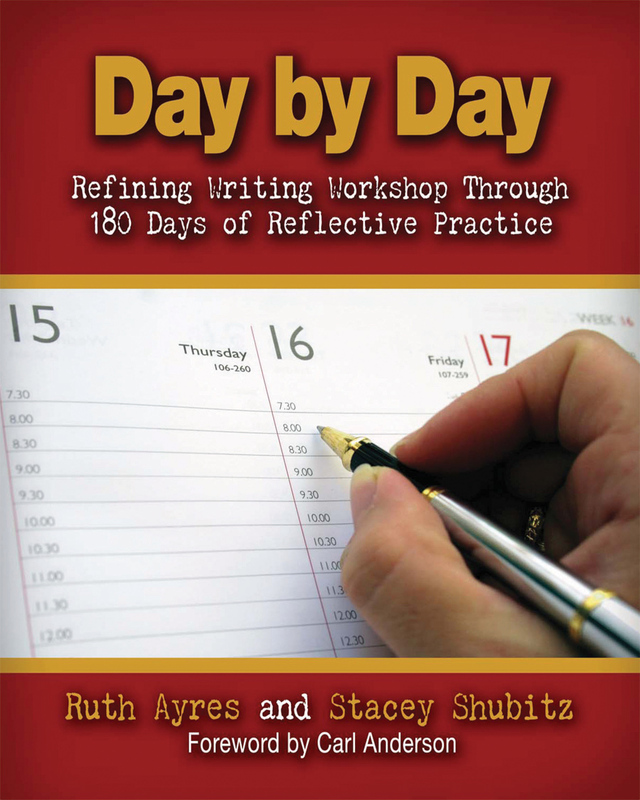 Ruth and Stacey also provide daily encouragement, support, practical strategies, tips, advice, and everything you need to run an effective writing workshop that meets the needs of all the different writers in your classroom.